Join Eerie Ink for a night of 90s retro entertainment, live music and cheap drinks! Remember a time when music was good and Walsall had a decent rock scene? 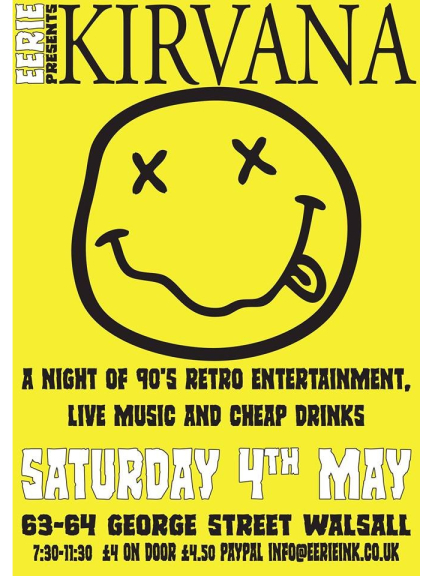 For one night you can relive those nights long dead with an evening of 90's music, film and possibly the best Nirvana tribute around! Buy a ticket before the night and pick a song for the playlist (strictly 90-99).